Toyota is recalling thousands of hybrid cars in the UK over a stalling problem. The fault affects Prius, Prius+ and Auris hybrid models, built from October 2008 to November 2014. Toyota has said 'in rare situations' the vehicle may not enter a failsafe driving mode as intended. If this occurs, the car could lose power and stall. Power steering, braking and auxiliary systems (such as indicators) will still remain operational in the event of a stall, which should allow the driver to pull over to a safe location to restart the vehicle. 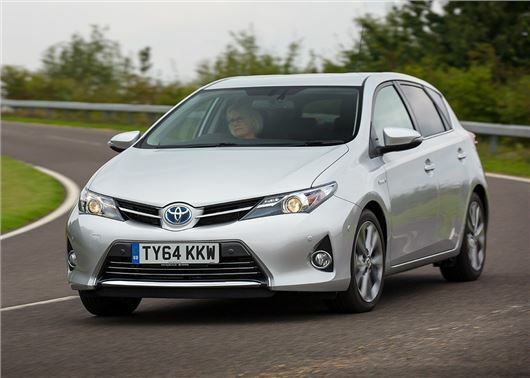 The problem has prompted the Japanese carmaker to recall 55,519 Prius, Prius + and Auris hybrid models in the UK. Owners will be contacted by their local dealer to book their car in for an inspection; all vehicles will get a software update, at no charge to the owner. The news marks the second safety notice in four weeks for Toyota, with 32,000 Prius, Prius Plug-in and C-HR Hybrid cars being recalled due to an unrelated electrical fault. The stalling fault is thought to affect up to 2.4 million cars globally, while the electrical problem affects an additional million cars worldwide. What are the rare situations? Is the car hardware damaged if the system doesn't enter the failsafe driving mode? How many accidents have occurred because of this design defect? Will Toyota pay for any repairs that have already been done because of this design defect? Will Toyota compensate affected owners for any increased insurance premiums they are having to pay as result of accidents caused by this design defect? Will Toyota compensate affected owners for the time and cost of having to travel to a Toyota dealer for the recall software update? Toyota could tell anybody whose car is over 6 years old to get lost. They are to be applauded for dealing with older cars. One should drive always being aware that there can be a loss of power, just as a pilot in a single-engined plane always looks out for a landing site in case of engine problems.